Truly New Zealand with an influence from Burgundy and Sancerre. Spencer Hill specializes in Burgundian styles of Chardonnay and Pinot Noir as well as unique styles of Sauvignon Blanc – they are our passion and the wines we all prefer. We love all styles of Chardonnay from big and buttery to elegant and refined …. we also enjoying pushing the line to wild and a bit funky. No style is wrong if you love Chardonnay. For the first 12 years we chose to submit our wines to competition so that we could firmly state our Chardonnay’s were among the best in the world. We made our point and today continue with what we started…making the best Chardonnay’s we possibly can. Our other passion are making refined styles of Sauvignon Blanc. Distinctively New Zealand, but with a wonderful point of difference. From the delicate style of Pouilly Fume to the full on style of Sancerre and robust California Fumé….we love them all. Our Sauvignon Blanc’s have always been made this way and have surprised many with their unique characters. Our passion for these wines was one of the reasons for establishing our vineyards and winery in the Upper Moutere district of Nelson. The dry farmed vineyards, rolling hills with clay loam soil, and warm summers are perfect. And finally, none of this can be accomplished without our belief in the constant training of our staff and always evaluating new science in wine making and viticulture. The ultimate goal is not to follow fads but to make the best wines we can in the most sustainable manner. Spencer Hill’s wines are those to get your teeth into, to enjoy and relax with, rather than pose alongside. Spencer Hill is certainly a leader rather than a follower. The wines are typically concentrated, rich and smooth textured with a variety of complex flavours that impress. 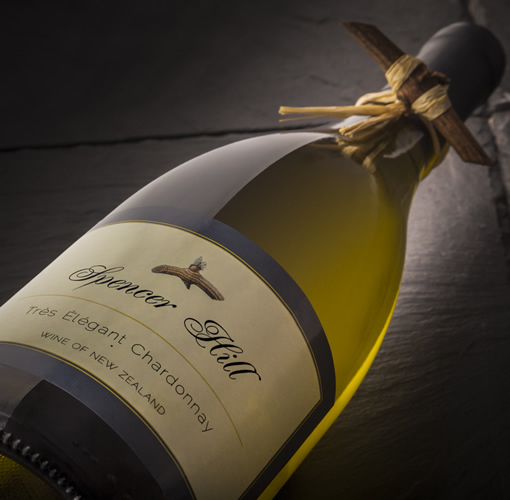 Since the first vintage in 1994 Spencer Hill has forged a reputation for outstanding Chardonnay’s. It is a measure of Spencer Hill’s commitment to quality that it has the basics of balance, finesse and flavour dead right.